What does it mean for my child’s Pediatric Dentist to be “board certified?” A Diplomate of the American Board of Pediatric Dentistry (ABPD) is a pediatric dentist who, in addition to completing dental school and a residency training program, successfully completed and passed the highest level of written and oral examination, hence demonstrating specialized knowledge and skill in the field of pediatric dentistry. Obtaining board certification is a Pediatric Dentist’s final stage in an extensive education path. Diplomates are dedicated to providing exceptional patient care through a voluntary commitment to lifelong learning. 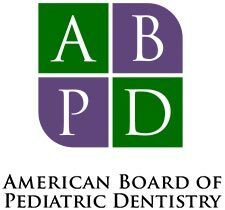 The American Board of Pediatric Dentistry is the only certifying board in the specialty of pediatric dentistry recognized by the American Dental Association (ADA) and sponsored by the American Academy of Pediatric Dentistry (AAPD). Did you know that not all Orthodontists are board certified? 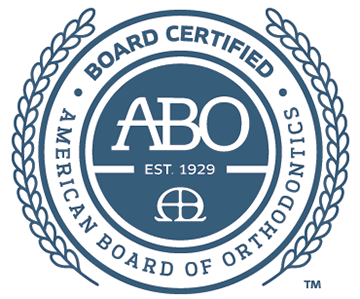 Every Orthodontist must be licensed to practice but only some continue on to become board certified by The American Board of Orthodontics (ABO). The certification process is an additional achievement signifying a step beyond the 2-3 years of additional education for a dentist to become a specialist in Orthodontics. Board certification is a voluntary process demonstrating orthodontic knowledge, clinical judgment and actual patient results that were treated by the Orthodontist. The board’s goal is to continue to strive for the improvement in the level of orthodontic treatment for patients in the community by upholding excellence through their certification process and educational efforts. Obtaining board certification is an Orthodontist’s final stage in an extensive educational path to delivering exceptional patient care to the public. The American Board of Orthodontics is the only orthodontic specialty board that is recognized by the American Dental Association (ADA) and in affiliation with the American Association of Orthodontists (AAO).